Celebrate Women’s History Month with us during March as we highlight the creative contributions of women artists. Exhibition: A Dangerous Women: Surrealism and Subversion in the Art of Honoré Sharrer. Sharrer’s gender, commitment to leftist ideals, and use of figurative surrealism put her at odds with the dominant political and artistic climate of the 1950s. Read more about this original CMA exhibition in the recent Columbus Dispatch review. Look for special Collective Voices Guide by Cell in the galleries featuring women artists, and those inspired by them. Pick up a copy of the guide at the front desk and look for special labels in the galleries. Join one of the special Women Artists at CMA tours on March 10, 19, 23, 24, and 26, and special tours of the Sharrer exhibition on March 5 and 18. Every Saturday in March make your own art inspired by 5 women artists from CMA’s collection. Saturdays from 1:00-3:00 PM, included free with admission. 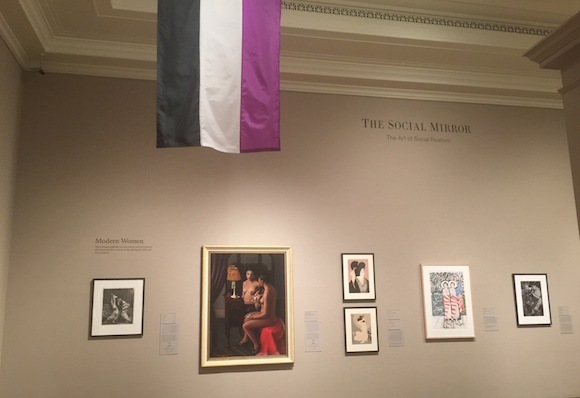 Explore the new original CMA exhibition A Dangerous Woman: Subversion and Surrealism in the Art of Honoré Sharrer with Executive Director Nannette V. Maciejunes. $20 for nonmembers (includes general admission), and $5 for members. Register here. Celebrate Women’s History Month and the creativity of women. Be here for Dangerous Women Create, an inspired evening hosted by CMA and Creative Babes for a pop-up reception and your chance to create together. March 23 from 6:00-8:00 PM, cash bar. 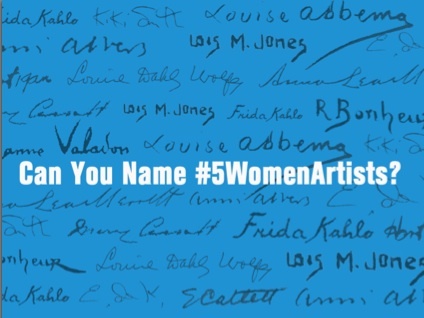 Join in the national #5WomenArtists campaign. Many people have a tough time listing five women artists off the top of their heads. Can you name 5 women artists? Share your photos and comments about great women artists: #5womenartists #mycma @columbusmuseum.